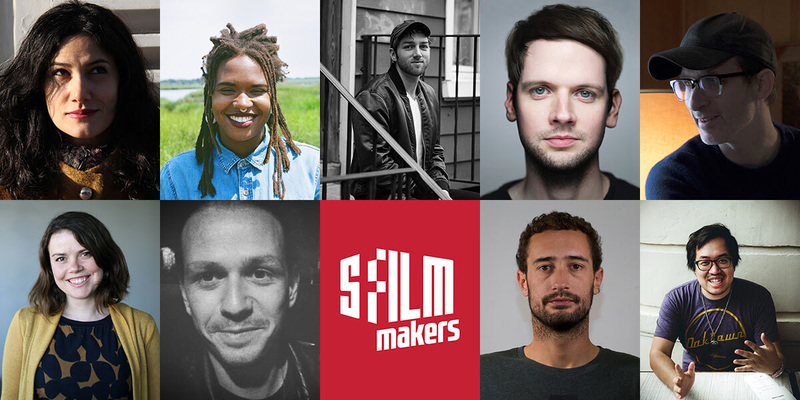 Seven indie narrative films will receive a total of $240,000 in funding in the latest round of SFFILM Rainin Grants to support the next stage of their creative process, from screenwriting to post-production. SFFILM Rainin Grants are awarded twice annually to filmmakers whose narrative feature films will have significant economic or professional impact on the Bay Area filmmaking community and/or meaningfully explore pressing social issues. SFFILM, in partnership with the Kenneth Rainin Foundation, is the largest granting body for independent narrative feature films in the United States. The SFFILM Rainin Grant program has awarded over $5 million to more than 100 projects since its inception, including Boots Riley’s indie phenomenon Sorry to Bother You, which was released in theaters nationwide this summer; Reinaldo Marcus Green’s Monsters and Men, which won a Special Jury Prize at Sundance earlier this year; Geremy Jasper’s Sundance breakthrough Patti Cake$, which closed the 2017 Cannes Director’s Fortnight program; Chloé Zhao’s Songs My Brothers Taught Me, which screened at Sundance and Cannes in 2015; Short Term 12, Destin Cretton’s sophomore feature which won both the Narrative Grand Jury Award and Audience Award at SXSW 2013; Ryan Coogler’s debut feature Fruitvale Station, which won the 2014 Film Independent Spirit Award for Best First Feature, the Un Certain Regard Avenir Prize at the 2013 Cannes Film Festival, and both the Grand Jury Prize and Audience Award in the narrative category at Sundance 2013; and Ben Zeitlin’s debut phenomenon Beasts of the Southern Wild, which won Sundance’s Grand Jury Prize and Cannes’ Camera d’Or in 2012 and earned four Academy Award nominations (including Best Picture). On the feast of the sacrifice, a family gathering of women turns into a tragicomic night of bloody vengeance. In lyrical, non-linear portraits evoking the texture of memories, all dirt roads taste of salt viscerally and experientially explores the life of a Black woman in the American South, from her youth to her older years. Some things are worth waiting 17 years for, others should have come out sooner. For 35 years, Nora Pancowski has been the postmaster of Colewell, Pennsylvania. She runs the office out of her home and has become the center of this community, which has no other common space. When Nora receives word that her office will be closed, she must decide whether to relocate and take a new job or face retirement in Colewell. Aging pot farmer Devi suddenly finds her world shattered as she races to bring in what could be her final harvest. Enrique is deported to Mexico, a country he has never called home. As he struggles to integrate, survive, and force his way back to the US, he meets Rita, who provides shelter and protection that he has never had before, which makes him question where home really is. Sandy Song, a grumpy middle-aged grifter, becomes the sole defender of Oakland’s Chinatown in a battle against loan sharks, white saviors, and demons.